Gowri Sriramagiri is one of six women nationwide to be selected for the 2018 Rising Women SPI Fellowship from Women of Renewable Industries and Sustainable Energy (WRISE) and GRID Alternatives. “The fellowship is an opportunity for women from diverse backgrounds who are interested in solar careers to visit Solar Power International (SPI) for networking, mentorship and solar education,” according to a press release announcing the award. The Solar Power International 2018 Conference and Exhibition was held in Anaheim, California on September 26, 2018. Sriramagiri is a doctoral student in electrical engineering and studies solar cells at the Institute of Energy Conversion. She has always been interested in sustainability and rode her bike to middle school because it was the eco-friendly option. Her passion for solar energy, and the study of photovoltaics, ignited when she was an undergraduate student majoring in electrical engineering. 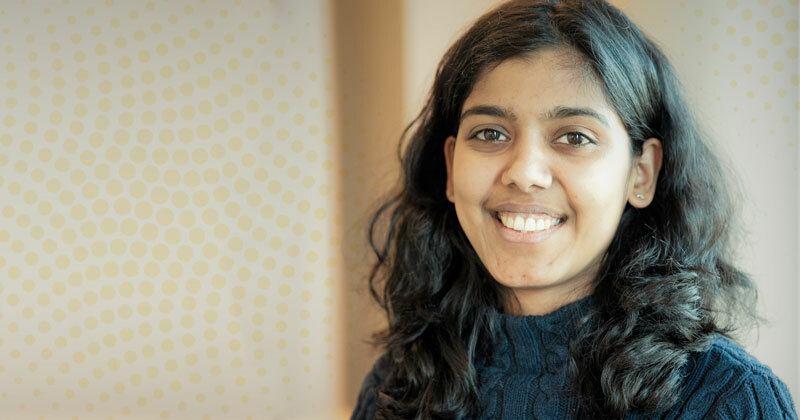 “I made up my mind to participate in solar research, and since the Institute of Energy Conversion is the oldest research institute dedicated to solar cell research, I knew I wanted to study here,” Sriramagiri said.